An exciting three day ‘Wilderness Festival’ dedicated to a community of like-minded people, with unique experiences around 'Survival in the Wild' and 'Adventure' through fun adventure activities, a warm community experience, learning from experts, beautiful nature trails, learn essential survival skills, movie screenings and lots and lots of entertainment! The search for your long weekend plan ends here, if you're looking to interact with nature and its ways, while learning the basic skills of survival & adventure! Within our Teepees (conical tents from the time of our wild ancestors), we are creating a portal to go back in time, to learn the ways of wilderness and how to co-exist and survive. 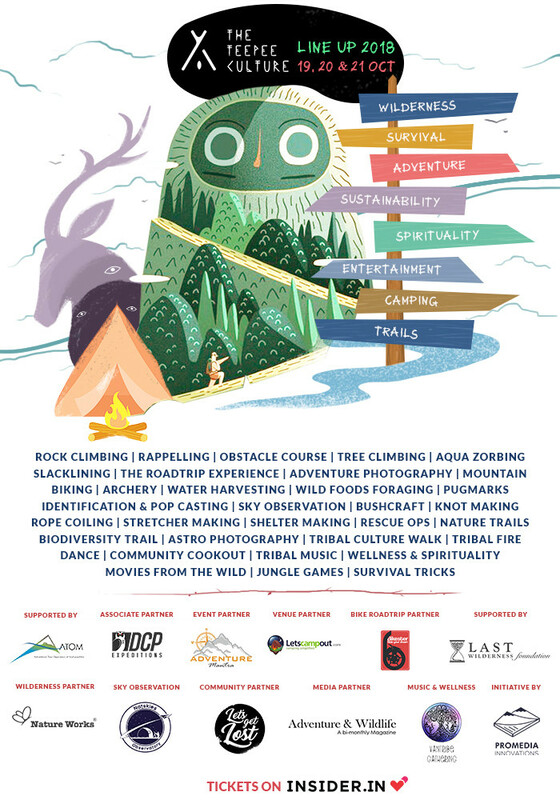 We are a curated outdoor community experience for the adventurous and the curious, to come together to 'explore' & 'exchange' while learning how to symbiotically live with and survive in the fascinating wilderness. 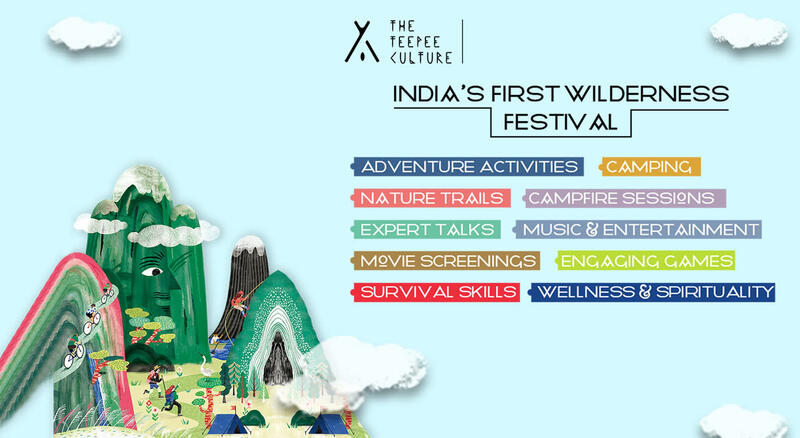 All of this and so much more, while camping under the October sky, at a stunning island campsite just a couple of hours from Mumbai and Pune! STEP OUT - out of the city hustle, into the vastness of open skies, into the wilderness, on to an island of learning. LEARN - to exchange skills and ideas, to reconnect with yourself, with nature, with others, and to survive. Friday: Group ride to this Wilderness festival. We start the ride early morning and take a detour to explore an off-beat reservoir. Very less known, the route to this reservoir is lush green and a paradise for nature lovers. Later, continue the ride to the event. Still craving? Then remember to join us on a short night ride to Lonavala in the evening.